I remember a couple years ago I went to an Animal Planet Expo. They had every type of animal and knowledgable people to educate the public, but obviously they didn't have any hermit crabs.. I was just wondering is there anyone in MA who would be willing to come together to setup a stand there and educate everyone on land hermit crab needs? I'm not too sure when the next one is, probably next spring, but I would definetly be willing to spend money to make this happen and have care sheet and hermie safe food samples to hand out. I would like at least five people to come together and do this with me.. Ecpeially people experienced in keeping every species. We could set up a tank and everything! Anyways, let me know on how you feel about this . Canadian hermit crab store is up and running! that is an awesome idea ... might think of doing this at All About Pets show here in Toronto in the spring ... unfortunately i'm up in Canada. If you can't find anyone else in MA here, you can try the FB group. Thanks, I'm always trying to find ways to help hermit crabs! Yes, you definetly should do that, I should have said that as well.. Anyone anywhere can probably find some sort of expo to do this at. Pet expos usually attract families and ethuetiests, therefore you bring two and two together and make parents second guess getting their children hermies. I wish I lived closer otherwise I would definitely help out. Maybe we can see about other things that we would be able to get people out to the public about the correct care of hermit crabs. Thanks Sach! That'll help a lot ! Everyone can take action in their own communities. Maybe we could dedicate one day were all crabbers can do some sort of activism, pass out care sheets, go inform a petstore of unfit conditions, if possible go to a pet expo, ect. Therefore, everyone can make a difference and by doing that we can ensure that atleast once a year we can be the voices for these impeccable creatures. Then we can all share our stories of how we tried to make a positive different. Don't mind me rambling, I just feel strongy when it comes to innocence with no voice to be heard. I like that idea. Sounds like a great way to spread the work about their treatment and mistreatment. Hopfully we can get enough people to like this idea. We could make a difference. Even the little things. Everyone can take action in their own communities. Maybe we could dedicate one day were all crabbers can do some sort of activism, pass out care sheets, go inform a pet store of unfit conditions, if possible go to a pet expo, etc. Therefore, everyone can make a difference and by doing that we can ensure that at least once a year we can be the voices for these impeccable creatures. Then we can all share our stories of how we tried to make a positive different. Don't mind me rambling, I just feel strongly when it comes to innocence with no voice to be heard. Good-hearted rambling ~ love where you were coming from & where you were going with this idea! Wondering if you were able to make it to the Expo? Or anything similar? If so, how did that go? Would LOVE to hear about your experiences in "public awareness" efforts. I've been thinking Pet Shop Staff needs to be better educated, therefore PUBLIC / new owners too. Is there a "national hermit crab" day? month? Hmmm... maybe we need Sach to rally her fellow "experts / major crabbers" to designate a National... err... 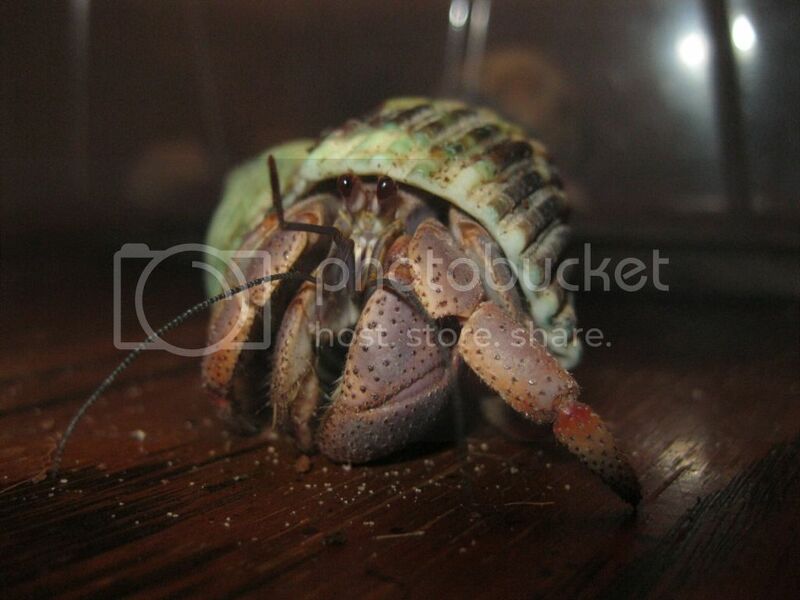 World-Wide Hermit Crab Awareness Day... Week... Month? Isn't there a crustacean awareness week? I don't think anyone's done anything special for it, so it's faded into non existence. I'll help with the international crab day stuff. Maybe 'hermit crab' is too species specific, maybe it should be for all crabs. Thank you for askin! I always enjoy seeing people take initiative. I didn't go to that expo, but have been to many and always share accurate info locally at pet stores as well as helping many people around me trying their best. But at the end of the day I always recognize Sachs Crab page because I've had some of my hermies for years and that wouldn't have been possible without this place. I totally know what you mean about giving Sachs Crab Page recognition for the info & support that has also enable my little critters to have a better life, too. Correction: TO HAVE LIFE! That's a good idea! 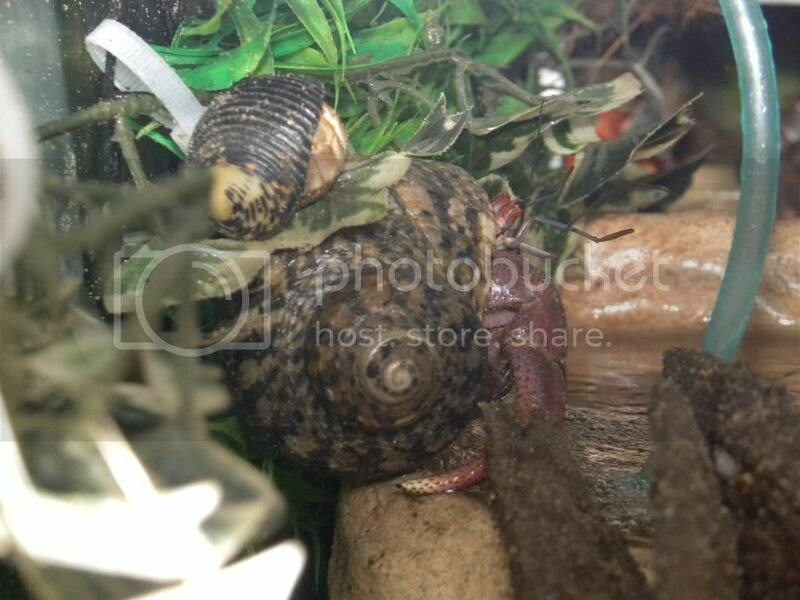 Wondering how many Vets in our general area ever get questions about Hermit Crab Care? Would guess it's less now than decade or two ago? Seeing as we now have the ability to research needed info via internet. Still good to know Vet/s wanting to help inform the public, as many (including myself) didn't even THINK to do their research BEFORE getting pet/s to ensure clear understanding to their needs.